Solar installation on the Boulders Shopping Centre in Midrand. JSE-listed Redefine Properties has delivered cost efficiencies and improved performance on key sustainability metrics through their solar energy strategies. The business’s total installed solar photovoltaic fleet will produce approximately 35 754 600 kWh (kilowatt hour) of solar power per annum when fully operational. “This equates to an indicative saving of 32 819 tCO2 e which is roughly equal to 12 million litres of diesel combusted. If offset against Redefine’s total scope 2 carbon emissions of 46 761 tCO2 e in 2017, it is a 70% reduction, assuming a like-for-like portfolio of properties. Renewable energy is a major point in sustainability projects and besides the financial returns that accrue from these efforts, it is clean economy on the roof” says Ilse Swanepoel, Head of Utilities at Redefine Properties. Redefine’s scope 2 carbon emissions are essentially calculated as electricity consumption not recovered from tenants. Last year, 9% of electricity consumed at Alberton Mall, Boulders, 90 Grayston, 90 Rivonia, Black River Park, Observatory Business Park, Wonderboom Junction, Wembley and East Rand Mall came from renewable energy. Redefine owns and manages some of the country’s major retail, office and industrial parks including the celebrated Black River Office Park in Cape Town. Black River Office Park is the first office precinct in South Africa to receive Green Building Council of South Africa certified Green Star existing building ratings for all of its eight buildings, with a combined 75,000sqm of office space. Last year, Redefine rolled out a series of rooftop solar PV projects bringing its total installed capacity to 7.8 MWp. Once the power plants come on stream over the next 18 months, its total installed capacity will grow to 22 MWp. To date 4.2MWp of additional capacity has already come on stream delivering approximately 6 373 500 kWh annually. Redefine Properties was recognised by the South African Facilities Management Association at its recently concluded awards gala and received Gold for this technology implementation. 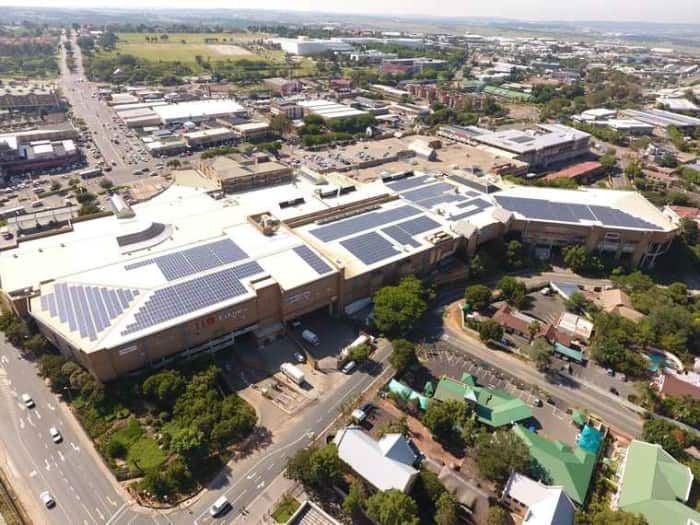 Some of the key assets where Redefine has already installed rooftop solar PV plants include Langeberg Mall (Mossel Bay), Boulders Shopping Centre (Midrand), Centurion Lifestyle Centre (Centurion), Stoneridge Centre (Edenvale), East Rand Mall (Boksburg), Matlosana Mall (Klerksdorp), Moreleta Plaza and Wonderboom Junction in Pretoria. 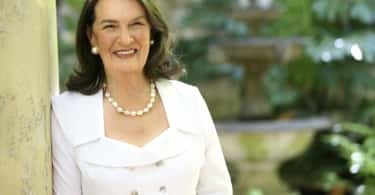 “We believe in making sustainability integral to our daily operations for as much economic reasons as environmental and are proud to be the recipient of this award,” says Ms Swanepoel. The total cost savings achieved from existing plants and plants commissioned during the course of the year will be over R32 million per annum. 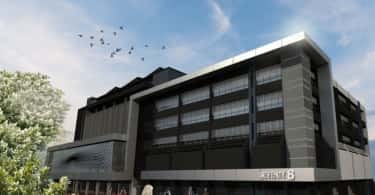 Given the increasing significance of sustainability issues, Redefine also completed an additional 2600 smart meter installations, achieved 43 Green Star ratings for buildings across its portfolio amongst which a recently completed project certifying 20 of its existing office buildings for Green Star SA ratings. Solar energy currently represents the cheapest and most sustainable way to generate renewable electricity. Besides producing no emissions and being silent, the panels furthermore shield large amounts of roof space from direct sun, leaving it cooler and further lowering energy consumption. In addition, technologies to further sustainable smart micro-grids such as efficient and cost-effective energy storage solutions is well within our sights to further enhance the benefits of our Solar PV plants. “Solar is no longer niche and is a well-entrenched renewable energy source underpinning the achievement of green-building goals. Demand has grown in recent years, with many large blue chip tenants prioritising their own sustainability efforts, expecting the developer to dovetail and help achieve their objectives,” adds Swanepoel. Besides tenants, Redefine’s strategic intent is to make its properties attractive for both shoppers and employees by locating new projects in close proximity to public transport directly reducing the impact on environment. Rosebank Link for example has a direct, convenient and safe access to the Gautrain Station through a ground level landscaped pedestrianised thoroughfare. Redefine has been an index component of the Dow Jones Sustainability Index for over four years now. Furthermore Redefine also participates in the Global Real Estate Sustainability Benchmark (GRESB). In 2017, it received an A+ rating for disclosure, well above the global average of a C rating. GRESB asses how companies perform on environmental, social, and governance (ESG) indicators such as energy and water consumption, carbon emissions, employee satisfaction, health and safety, and the supply chain.